We have just 48 hours left on our #Giving Tuesday Matching Gift Campaign challenge to raise $80,000 in vital funds for the SSP Scholarship Fund. Yesterday, we shared a brave girl’s journey, offering you a firsthand look at just who your scholarship funding serves. Today, we feature the excitement of a teen girl and her peers learning podcast technology and the fundamentals of ethical journalism. 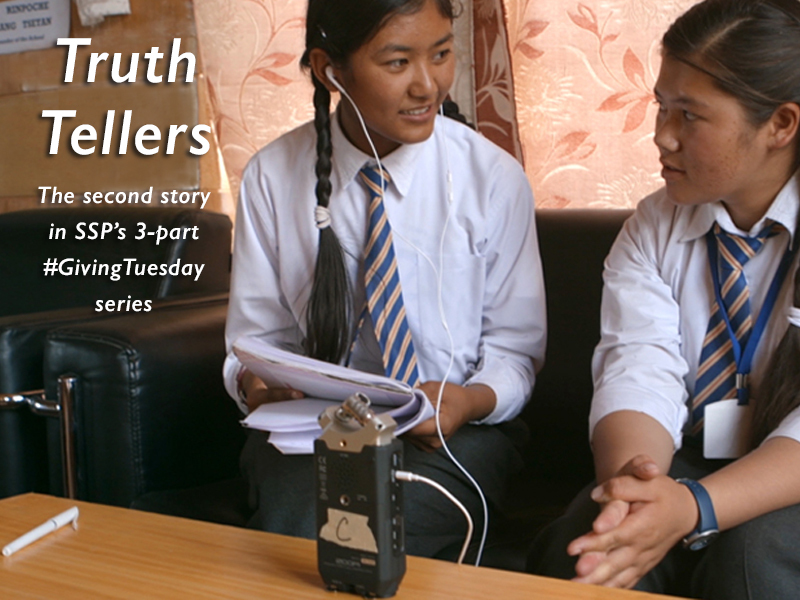 Watch Siddhartha School’s first journalism class unfold in this 2-minute video. Join us in making a personal investment to help Ladakh’s bright minds shine and to share their stories with the world. Please give what you can.